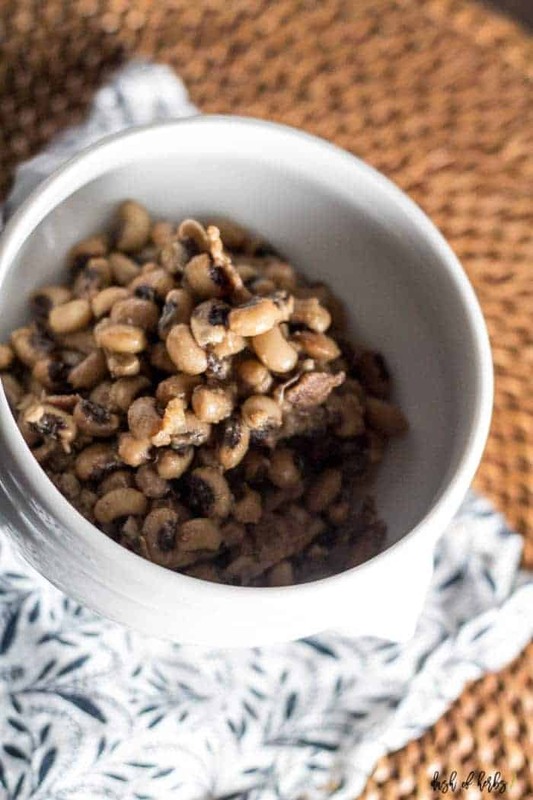 Living in the South means that you should know how to cook black eyed peas. 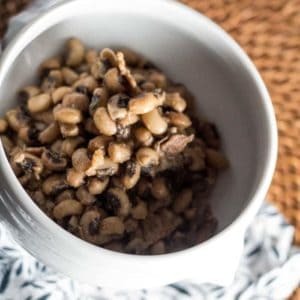 This slow cooker black eyed peas with bacon recipe is so easy, and the peas tastes like they have been cooking all day on the stovetop (and while they have been cooking all day, the slow cooker does it all for you). If you are not from the South, you might not know this. But we take New Years Day meals very seriously. And I have taken to this tradition, because why not? 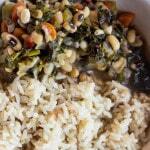 I personally love the collard greens, black eyed peas and ham that is served for New Years Day dinner. 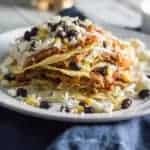 The problem is that I wanted to make these dishes for the first time, and I wanted to make sure they were Weight Watcher friendly so that I could still enjoy them without the guilt. By the way, remaining and losing weight on Weight Watchers during the holidays is no joke. I’m just being truthful, but it’s very difficult and if you take a day off, trying to get back on track is even harder. So, creating healthy side dishes for the holidays through New Years Day was a challenge. My grandmother also doesn’t eat turkey or chicken, so we had ham for Christmas dinner. No one in my family wanted ham again for New Years day, so we switched things up and had BBQ chicken (my grandmother ate seared pork chops) instead. 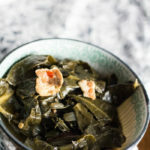 You might have noticed that this recipe (and the collard greens recipe) use bacon instead of ham hock. I was a little worried about how this would work, but I have to admit that I didn’t even notice a difference – and isn’t that the most important thing? Place all the ingredients into the slow cooker and cook on HIGH for 6 hours (or LOW for 8-10 hours). 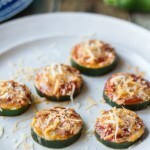 What are your favorite side dish recipes? 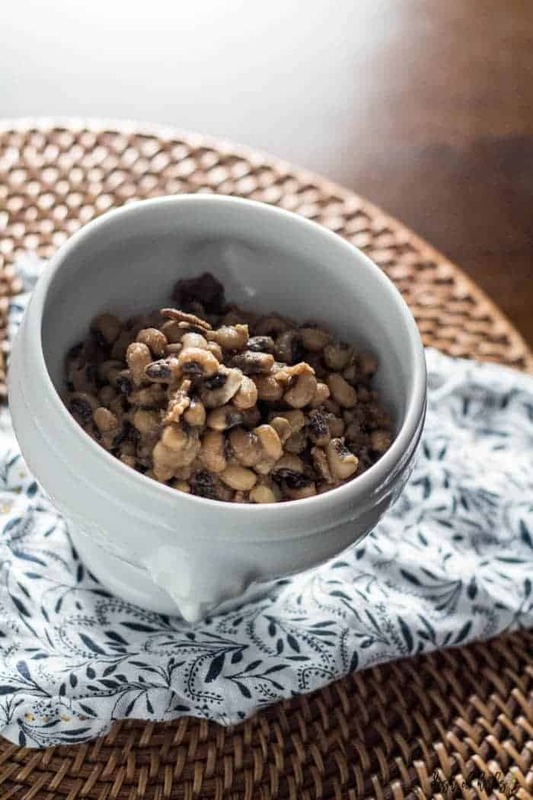 You can use canned black eyed peas, if you don't have or can't find the dry variety. 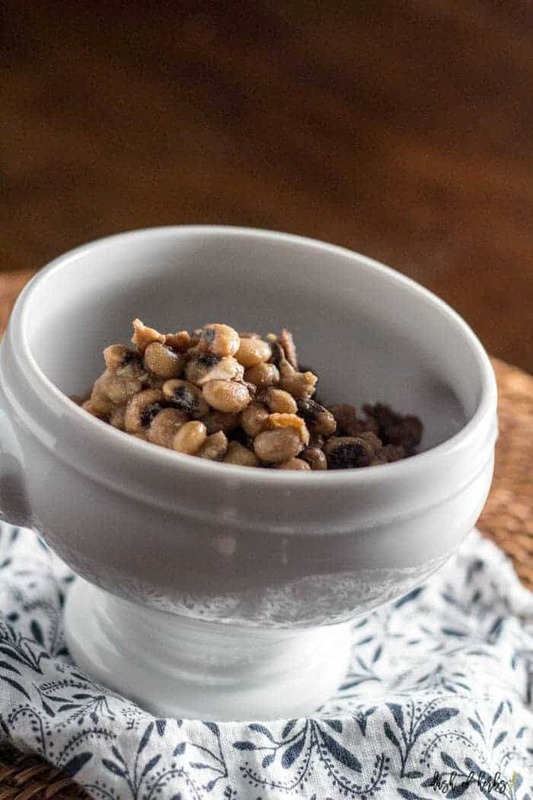 2 cans of black eyed peas (drained and rinsed) will work well.